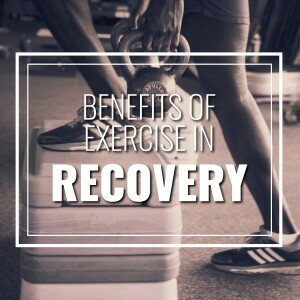 Being in recovery involves rethinking your entire approach to life, which means the early stages of recovery are the perfect time to begin a regular exercise regimen. Making physical activity a daily part of your life offers multiple benefits for the body, mind, and spirit. 1. Exercise Gives You a Natural High. It may sound hard to believe if you’ve always been a bit of a couch potato, but exercise has been scientifically proven to give you a natural high. Physical activity increases serotonin, dopamine, and endorphins. These chemicals help boost your mood, much like the high from using drugs or alcohol. It doesn’t matter how strenuous your exercise regimen is either. Even a brisk walk after dinner can be helpful, so feel free to start small and gradually increase your physical activity as your strength and stamina improve. Balancing work, family, friends, and recovery can certainly be stressful at times. Exercise is an excellent natural stress reliever because it’s essentially meditation in motion. If you’re focused on shooting hoops, playing tennis, or mastering new dance moves, you can’t worry about problems in other areas of your life. After concentrating solely on your body’s movements for 30 minutes to an hour, you’ll have a new perspective on what’s bothering you. The break from your troubles will also keep you from making rash decisions you may regret in the future. 3. Exercise Lets You Manage Anger and Frustration. When you’re in recovery, it can be challenging to find a way to deal with unpleasant emotions without turning to drugs or alcohol. Exercise can help you work out your frustration and anger in a productive way. If you’re using exercise to manage anger and frustration, however, it may be best to avoid aggressive team sports such as hockey or football. The natural aggression in the game may exaggerate your emotional response. Try running or lifting weights instead. 4. Exercise Promotes More Restful Slumber. In today’s fast-paced world, trouble sleeping is very common. Being in recovery can make insomnia worse when the body is struggling to adjust to life without drugs and alcohol. Getting regular exercise will help balance your circadian rhythms and burn off excess energy, both of which will help you sleep better. This will improve your mood as well as promote healing of the damage caused by past substance abuse. For maximum benefits, aim to get at least 150 minutes of exercise per week. Ideally, it’s best to exercise five to six hours before you want to go to bed. This is the timeframe when the body’s temperature drops after exercising, which will make it easier to fall asleep. If it’s not possible to exercise at this time, a morning workout is the next best option. Exercising three hours or less before bed can actually overstimulate the heart, brain, and muscles—making it harder to go to sleep. 5. Exercise Helps You Deal with Co-Occurring Mental Health Disorders. If you’ve been diagnosed with depression, anxiety, or another co-occurring mental disorder, the mood boosting benefits of a regular workout routine may help you feel better. Working out won’t necessarily be a substitute for your medication, but getting moving may help you feel more like yourself again. Yoga’s mental health benefits are particularly well documented. By teaching participants to focus on their breathing and tune out distractions, yoga promotes focus and relaxation. If you’re hesitant to try yoga because you don’t think you’re flexible enough, look for a certified instructor who can help you modify poses to work with a more limited range of motion. 6. Exercise Fills Up Idle Time. Boredom is a common trigger for cravings when you’re in the early stages of recovery, so anything that keeps you busy is going to be beneficial. For maximum benefit, consider taking an organized fitness class or scheduling time at the gym as a set part of your daily routine. 7. Exercise Expands Your Social Circle. Making friends as an adult can be difficult, but you may find that it’s easier to expand your social circle if you’re exercising regularly. Joining a gym or participating in team sports is a great way to meet new people if you’re feeling lonely from no longer associating with friends who encourage unhealthy lifestyle choices. If you’re worried about approaching someone new, keep it simple and ask for tips on improving your form or advice on healthy eating. Having a common interest to guide your conversation will help break the ice as you get to know each other. To learn more about our programs, please call us at 888-352-3297.